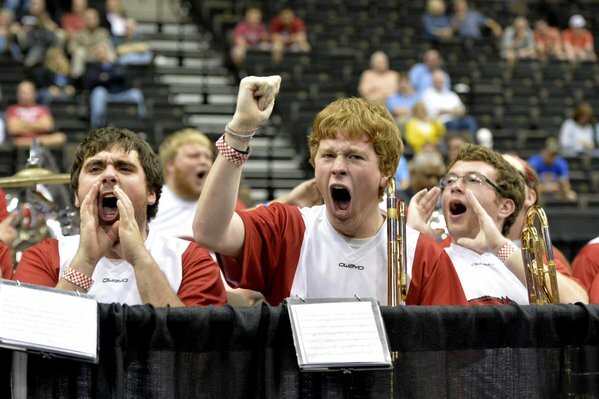 The #ExpandTheBand movement took off last night exciting fans and mobilizing the band world to explore the need to grow college pep bands at the NCAA Tournament and allow electronic amplification. To read the full article about the movement click here. The change.org petition that will be sent to the NCAA has jumped into the top 15% of change.org's most active petitions this week and has quickly collected nearly 2,000 signatures in less than 24 hours. Sincerely, People who like college basketball to have unique personality, and not be sterile and homogenized. The band's still need your help and there is still a ton of work to do. Please sign and share the petition within your band community and use #ExpandTheBand on social media throughout the NCAA Tournament. Write to the NCAA or tweet at them. Let them hear you!